Here is another round of awesome DIYs I'm hoping to try this summer! 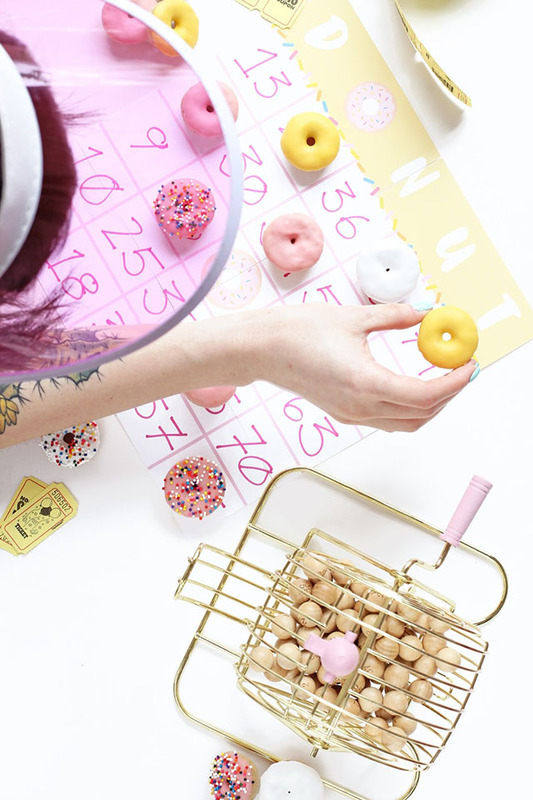 Hosting a game night with mini donut games and free printables from Aww, Sam sounds like the best time ever! 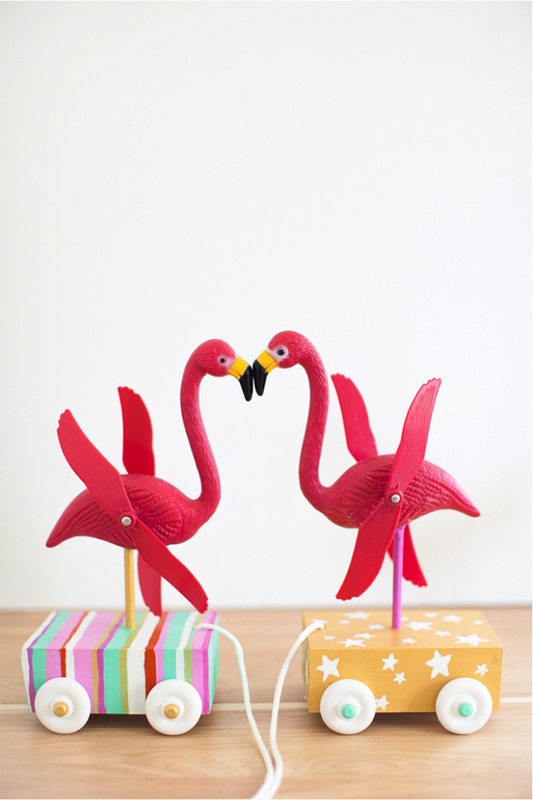 These diy flamingo pull toys from This Little Street would be such a fun gift to take to any little one's birthday party! 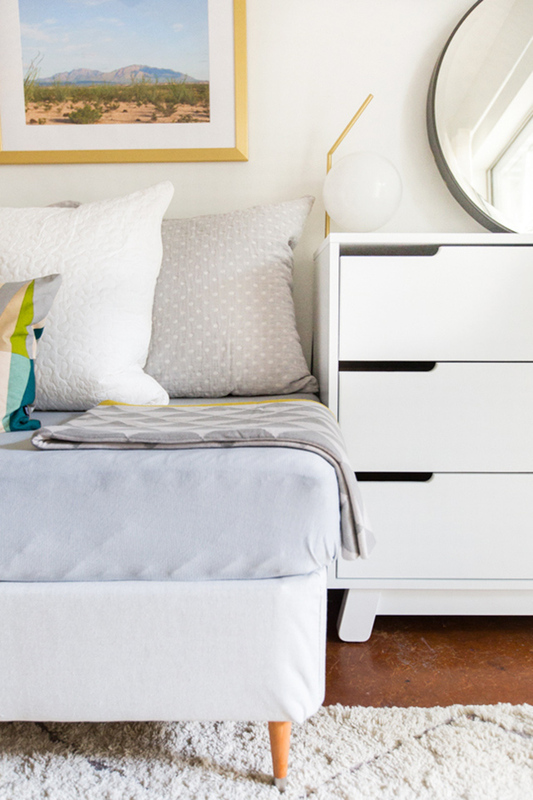 Poesy's just about ready to graduate from her toddler bed and this diy Mid-Century daybed from Sugar and Cloth would be the perfect addition to her bedroom. 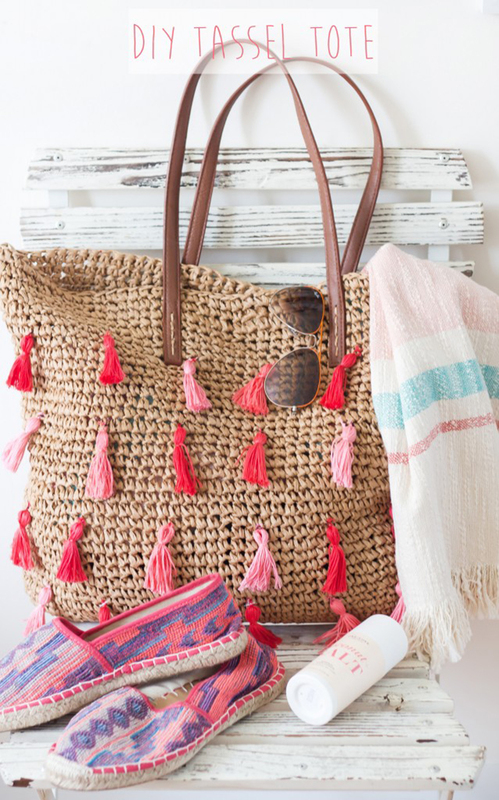 I love the idea of dressing up a basic beach bag with tassels like the BlondieLocks did in her diy tassel tote tutorial (try saying that 5 times fast!). 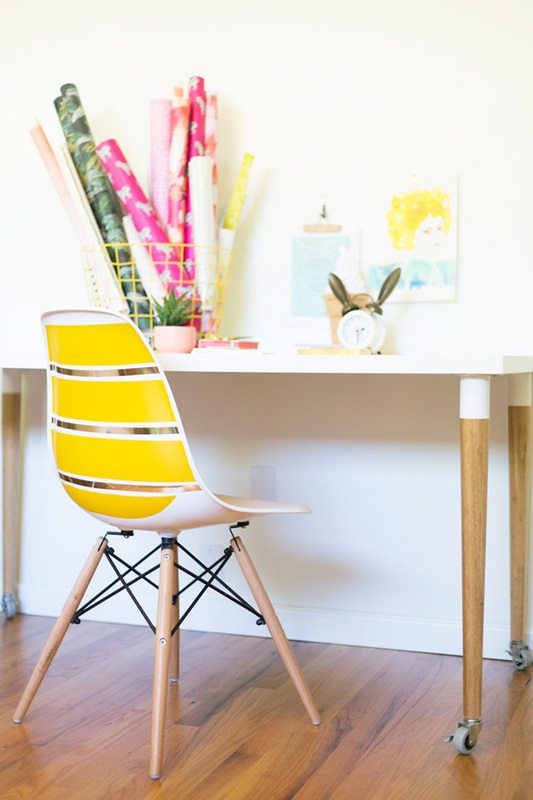 How sweet is this diy custom paint job in this tutorial from Lovely Indeed?? I love the splash of yellow and gold! 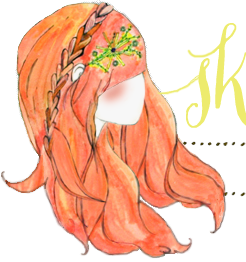 Well, now that I've pinpointed which DIYs I'm dying to try next, I suppose I should get on it, huh? YES! Me too! I think I will have to try them soon. The custom paint job on that chair is pretty great. Fun stuff. Thanks for sharing. OMGOSH, Those mini doughnut game are brilliant! I am so going to try that too. Such cute ideas! Those mini donut games look great - although I'd be forever tempted to eat them all, haha! These are all great! That Flamingo one though, so cute. xoxo.